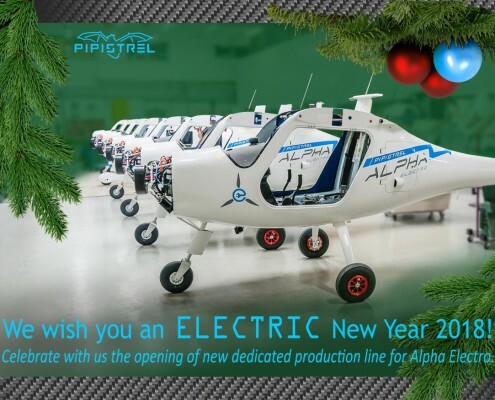 Pipistrel | Best wishes in 2018! You are here: Home / News / Best wishes in 2018! Not only that our electric aircraft do not produce any emissions, we also do not waste trees for Christmas greeting cards or pollute the environment by delivering them. And this is why we wish you a very merry Christmas and a green, successful New Year 2018 in an environment-friendly way. With this message we would also like to thank each one of you who stands by our side and supports us every single day. 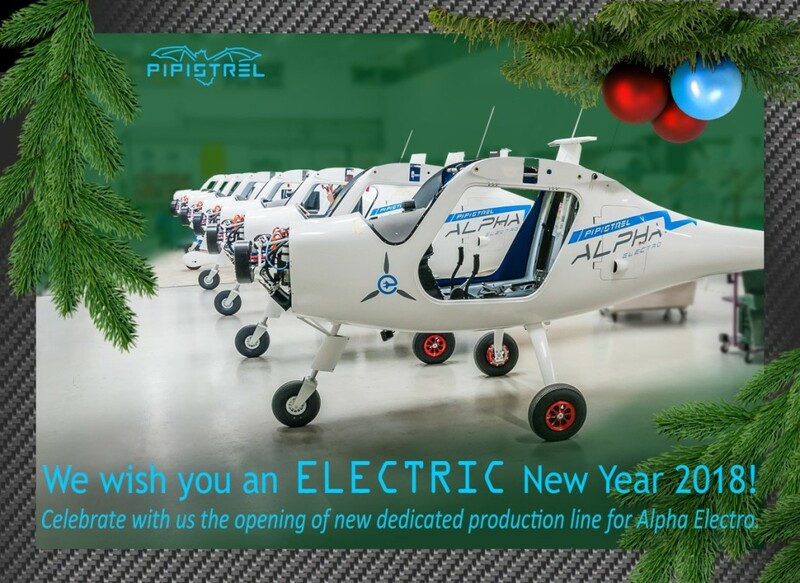 With your help and the support of the SME Instrument we managed to establish a new dedicated production line for Alpha Electro aircraft. Thank you for your messages, greetings and good wishes – and may they be returned to you a hundred times!